This has definitely been a phenomenal year for DC Comics. Since the advent of the company wide Rebirth, the company has been on a roll. With the current Batman-centric Dark Nights: Metal in full swing, the publishing giant is showing no sign of taking their foot off the gas. Dark Knight News received a press release today, featuring comics supremo Geoff Johns giving us the lowdown on November’s eagerly anticipated Doomsday Clock event. It’s hard to believe that this event has been 15 months in the making. By the time of the November premiere of issue #1, DC Universe: Rebirth will have been running for almost a year and a half. The premiere issue showed a being of otherworldly power manipulating events throughout the DC Universe. Characters who had vanished completely from the memories of their colleagues and families, came back. Years of memories that had been stripped from the lives of DC’s main heroes returned. Get a sneak peek at the most anticipated series of the year, with this new trailer debuting the road to DOOMSDAY CLOCK! 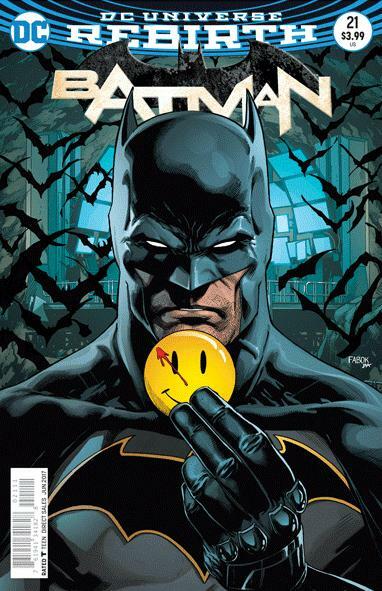 From The New York Times best-selling writer/artist team of Geoff Johns and Gary Frank, the forthcoming twelve issue series brings together iconic characters from both the Watchmen and DC universes. Join Johns as he speaks candidly about this thought-provoking new series. 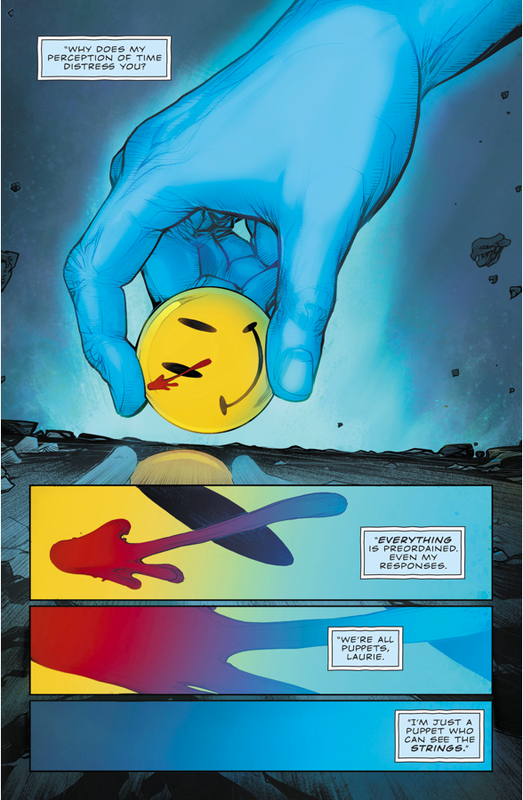 From the hints left in DC UNIVERSE: REBIRTH, to his collaboration with Gary Frank, this first look digs into the origin of the series and provides more insight on how DOOMSDAY CLOCK is truly a story of our time. 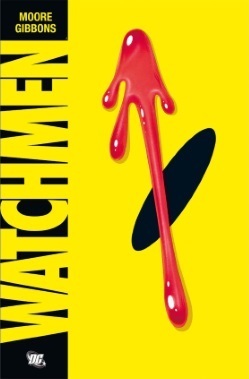 Alan Moore and Dave Gibbons’ Watchmen is, without doubt, one of the greatest comics series of all time. It has inspired countless talents and endless stories. The fact that the book has constantly been in print since 1986, is a testament to that fact. 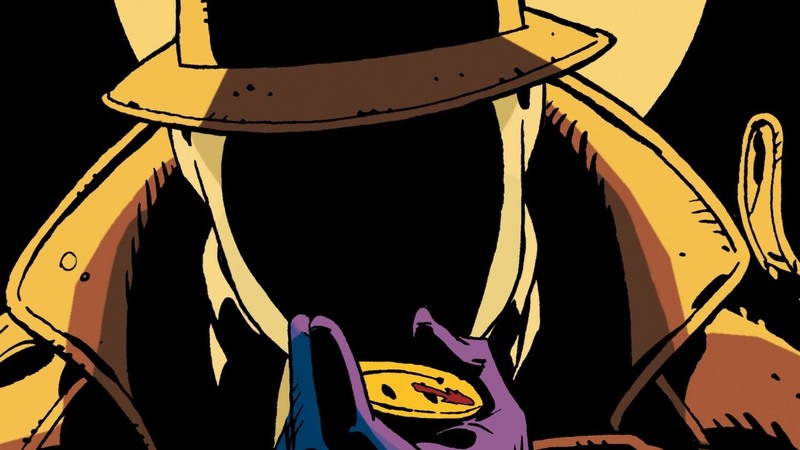 Using the characters of Watchmen makes Doomsday Clock one of the most eagerly anticipated events in all of comics. When Batman unearthed The Comedian’s button in DC Universe: Rebirth #1, I jumped for joy! His team-up with The Flash in The Button took me right back to 1986. When DC released a sneak peek, the frustrated artist in me had to make a retro/tribute version. I highly recommend picking up DC Universe: Rebirth, and the collected edition of The Button. Both are available now, and are preludes to the Doomsday Clock event. 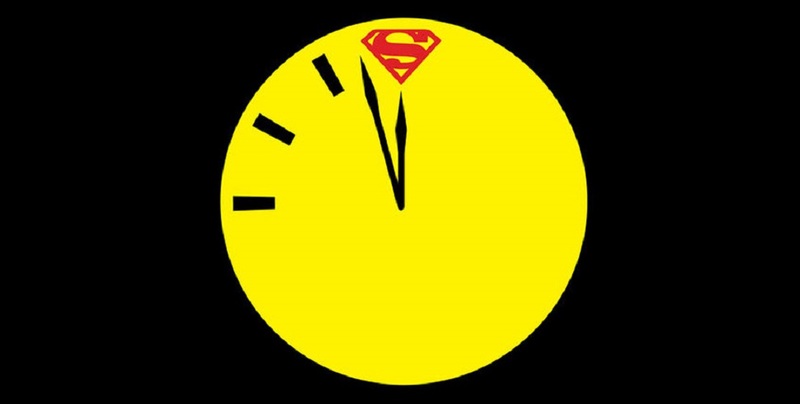 DOOMSDAY CLOCK #1 hits shelves November 22, 2017. 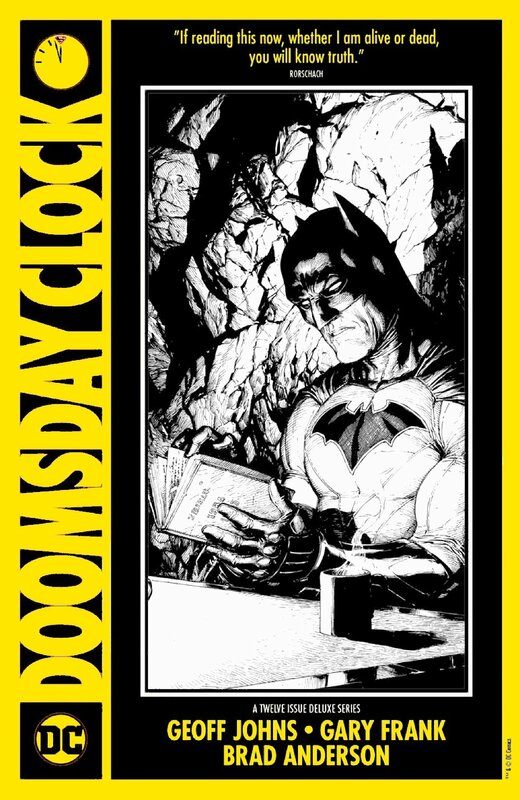 To preorder DOOMSDAY CLOCK, visit your local comic book shop or visit DCComics.com/DoomsdayClock to request your digital copy. I’ll be there, for sure.